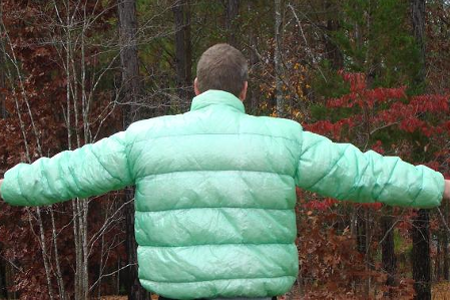 FEATURES: Collar, full front zip, adjustable waist, adjustable arm holes, removable sleeves attached to each other with elastic strapping, adjustable shockcord wrist cuffs. 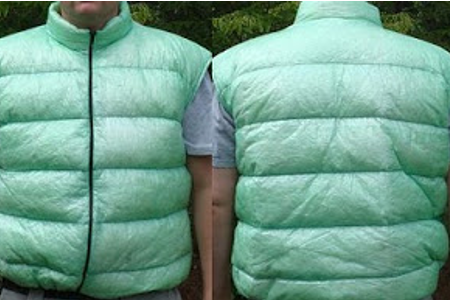 This custom Cuben fiber down vest was made for the Jolly Green Giant, of theLight & Ultralight Backpacking Blog in 2011 (Photo Cred: Jolly Green Giant). 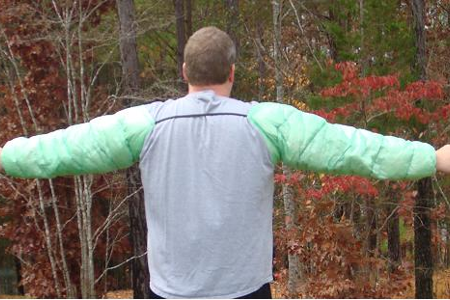 It was made with removable sleeves and doubles as both a down vest and a down jacket.